Jiangsu Steel Group Co., Ltd.
Standard GB, AISI/JIS, SUS, UNS, DIN 17440 17220(BS970 Part4) Material 201 202 204 207 207CU 301 302 303 303B 304 304L 304N 308 308L 308 LSI 309 309L 309LSI 309S 309SI 310 310S 314 316 316L 316LSI 321 330 347 348 384 410 420 430 OD 1.0-400mm Length 3000mm, 6000mm or according to the customer's requirement. Place of Origin Jiangsu Brand Name HENGDA STEEL Type Round bar, square bar, flat bar, hexagon bar, angle bar, channel bar, threaded bar Use Petroleum, chemical, construction, textile, medicine, aviation, aerospace, railway, highway, landscape protection, metallurgical machinery and other fields. Certificate ISO9001 Specifications Surface bright,pickled,black Technique Forged/Hot Rolled/Cold Drawn/Peeled Category 1.Round bar 1)Hot rolled black bar: (5-400)x6000mm or according to your requirement. 2)Acid round bar: (5-400)x6000mm or according to your requirement. 3)Cold drawn bright bar: (1-20)x6000mm or according to your requirement. 4)Polishing round bar: (5-400)x6000mm or according to your requests. 2. Square bar 1)Hot rolled black bar: (5*5-400*400)x6000mm or according to your requests. 2)Acid square bar: (5*5-400*400)x6000mm or according to your requests. 3)Cold drawn square bar: (1*1-20*20)x6000mm or according to your requests. 4)Polishing square bar: (5*5-400*400)x6000mm or according to your requests. 3. Flat bar 1)Hot rolled flat bar: (3-30)*(10-200mm)*6000mm or according to your requests. 2)Cold drawn flat bar: (3-30)*(10-200mm)*6000mm or according to your requests. 4. Hexagon bar 1)Hot rolled hexagon bar: (5-100)x6000mm or according to your requests. 2) Acid hexagon bar: (5-100)x6000mm or according to your requests. 3)Cold drawn hexagon bar: (1-20)x6000mm or according to your requests t. 4)Polishing hexagon bar: (5-100)x6000mm or according to your requests. 5. Channel bar 1)Hot rolled channel bar: (5-100)x6000mm or according to your requests. 2)Acid channel bar: (5-100)x6000mm or according to your requests. 3)Cold drawn channel bar: (1-20)x6000mm or according to your requests. 6. Threaded bar 1)Hot rolled threaded bar: (5-100)x6000mm or according to your requests. 2)Acid threaded bar: (5-100)x6000mm or according to your requests. 3)Cold drawn threaded bar: (1-20)x6000mm or according to your requests. 7. 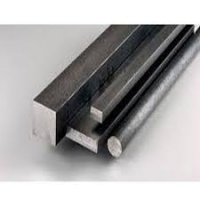 Angle bar 1)Hot rolled angle bar: (16-200)x(16-200)x(3-18)x(3000-9000)mm or according to your requests 2)Acid angle bar: (16-200)x(16-200)x(3-18)x(3000-9000)mm or according to your requests. 3)Cold drawn angle bar: (16-200)x(16-200)x(3-18)x(3000-9000)mm or according to your requests. Diameter H9 tolerance can reach the industry standard Package. Short on time? Let stainless-steel-bar sellers contact you. Manufacturer & exporter of stainless steel round/square/hex/wire/forged/bright/black in grade:201;202;303;304/l;316/l;317/l;309;310;321; 347; 904l;410;420;430 etc.... Sizes: 1)wire:0.1mm dia to 8mm dia. 2)round/suare/hex bar: Rolled:10mm dia to 200mm dia(black/bright) & Forged:100mm dia to 400mm dia. Quality: iso 9001:2008 certified company in exports. Weight: we are giving approx weight in our quotation & exact weight at the time of shipment.Ther is no compromise in weight & quality. Packing:as per the seaworthy export packing. Bars : We are one of the leading manufacturers of Bars that are manufactured using high grade raw material such as steel procured from reliable vendors. These are offered in various shapes and sizes and can be further customized as per the specification given by our clients. Our range is widely applied in industries such as construction, railways and automotive. It includes stainless steel bars, carbon Steel bars, Alloy Steel bars, steel round bars, hex bars, wire rod in black and bright finish. Stainless Steel :ASTM A 409, A 182, A276 Grade: 304, 304L, 304, 304H, 316, 316L, 316Ti, 321, 321H, 317, 317L, 310, 310S Carbon Steel :A105, ISO 2062 Alloy Steel :A182, Gr. 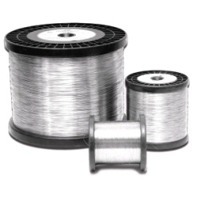 F1, F2, F11, F22, F5, F9, F91 Nickel Alloys :B162, B127, B463, B576, B168, B443 Copper Alloys :Aluminium, Copper, Brass & Gunmetal Specifications : ASTM, ASME, AISI, AMS, AFNOR, QQS, B.S, JIS, DIN, MILS and NACE. Stainless Steel Bars We are counted among one of the leading traders and suppliers of a wide array ofStainless Steel Bars. 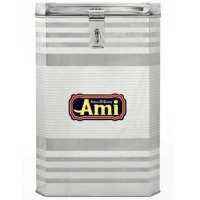 These bars are manufactured by our experts using superior quality stainless steel at their end. 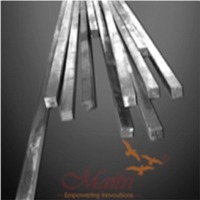 The range of Stainless Steel Bars offered by our organization is highly acknowledged for its attributes like high strength, dimensional accuracy, smooth surface, lightweight and corrosion resistance. Our clients can avail these bars in various specifications as per their requirements. The bars have gained huge appreciation in the market for their durability, strength and sturdiness. All of the products are made by ourself. AISI304 ss round solid free cutting stainless steel bar Product	Stainless steel bar/round, flat, angle, hex etc. Diametre	2mm~500mm Length	As customer's requirements Surface	Black & pickled & bright & hair line Grade	200 series& 300 series& 400 series Standard	ASTM A276, AISI,GB/T 1220, JIS G4303 Application	These products are widely used in all kinds of architecture and engineering structure operation	Main steel grade Available size(mm)	Monthly capacity(mt)	Length(mm) OEM	Stainless steel	40~500 1500	4000~8000 Hot 303 303Cu 304/L 310S 316/L 321 416 420	12 ~200 3000	4000~7000 17-4PH WLA510 ST Bar 321 304/L 316/L 310S 17-4PH WLA510	19~110 2000	4000~7000 CD Bar Round bar	303 303CU 304/L 316/L 416 420 17-4PH WLA510 4.76~100	500	2500~6500 Square bar	303 303CU 304/L 316/L 416 17-4PH WLA510 4.76~75 180	2500~6500 Hex bar	303 303CU 304/L 316/L 416 17-4PH WLA510 4.76~75 180	2500~6500 CG Bar 303 303CU 304/L 316/L 416 420 17-4PH WLA510 4.76~100	500	2500~6500 Fetures 1) All products are made of high-quality imported raw materials. 2) Our products are certified by ISO9001:2008 authentication quality systems. 3) Excellent high temperature strength and work-hardening Trade details (kindly need your attention): 1) Above all, in your inquiry, besides the diameter , please indicate clearly: the material of your required bar; your requirement of surface polishing or not having; your requirement of fixed-length for each bar or not having. Because those are aslo key to calculating our cost and telling you prices for your ordered bars. 2) Bars can be charged by metric ton 3) Packing: standard export packing. 4) Payment:by L/C sight or T.T against copy of B/L. 5) Shipment:20-30 days after receipt of the down payment or Irrevocable L/C sight. 6) Trade terms:FOB SHANGHAI,or CIF discharging port.